It has been a rough few months in the Microsoft world. The v1803 feature update for Windows 10 was earlier spotted to be called as the Windows 10 Spring Creators Update. This lead to some criticism in the community. After that, a confirmed release was withdrawn due to a last minute blockage bug. A newer build was issued to Windows Insider and the quality for the release was tested. Finally, Build 17134 was finalized for the release. With this, a new name as April Update was spotted by various keen observers. There has been a lot of mystery and curiosity within the community about when this be available to the public. 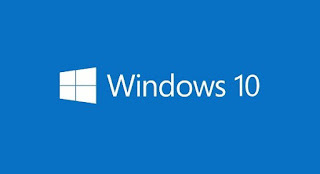 Today, Yusuf Mehdi, Corporate Vice President of the Windows and Devices Group at Microsoft wrote a blog post to announce that the next major release of Windows 10 would be called as Windows 10 April Update and it will be available to the public starting 30th April 2018 i.e. Monday. This means that, if a user manually checks for update via the settings app on or after Monday, they will get the April Update for sure. But, talking about the general rollout, the company is targeting May 8th, 2018. We floated a number of different names to a lot of customers that provided that proactive feedback, and really the simplest way to help people understand the update was to give it a time that people can clearly understand and works really globally much more efficiently. Some of the major features that come with this release include Timeline, Focus Assist, Dictation, Microsoft Edge improvements, Cortana improvements and more. If you wish to learn more about this, we have got you covered.